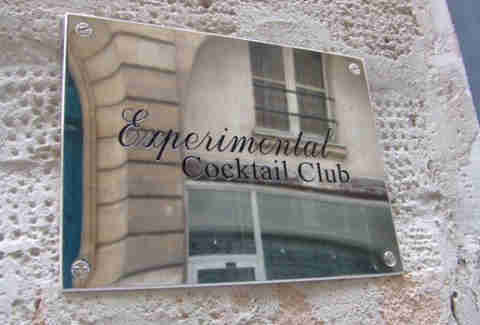 You can’t talk about the craft cocktail scene in Paris without mentioning Experimental Cocktail Club (ECC), and with a barely marked door off of a side street to the famed restaurant street Rue Montorgeuil, it’s one of Paris’s first speakeasy-themed bars. But since it’s been around for a few years, it’s also popular which means it can be hard to get into. 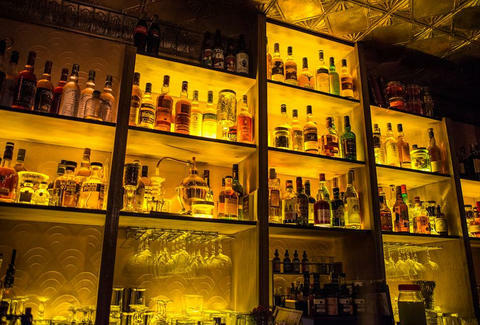 Obsessive barkeeps will mix you anything from a precision-crafted classic (their Tommy's Marg comes w/ bourbon vanilla & cloves), to an appropriately experimental original, such as the Tears and Vinegar which mixes whiskey w/ balsamic to delicious effect. A few taxidermy animals with your cocktail sir? Brought to you by the owners of ECC, at Curio Parlor, there are private nooks complete with curtains so you can section you and your date off from the rest of the world. They’re known for serving a proper cocktail, and since it’s busy, if you want to make the best of it, consider heading on a weeknight. Also? It contains the only Nikka whiskey bar outside of Japan. To make your way to the hidden entrance for this joint, you first have to head through the busy pizzeria, into the back, and into the freezer, after which you can chill out (!) in their secret drinkery. Liquor comes served truly old school in flasks, and you can get the likes of a daily, ever-changing (and cheap) punch, or a crazy-strong rum/gin/vodka Smokey Island. This semi-secret bar is located in the boutique Hôtel Particulier de Montmartre, and to get in, you have to ring the buzzer at the black door, then say that you want to “prendre un verre” (that means "have a drink". Subtle.). 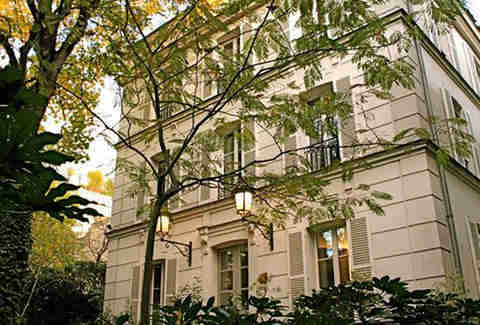 Once you’re in, you’ll find a secret garden, and a cozy library w/ a fireplace inside. The 'tenders are bussed in from New York, and'll mix you a mean Old Fashioned. Accessible only by a black, unmarked door, Le Ballroom is the underground space of the restaurant Beef Club. 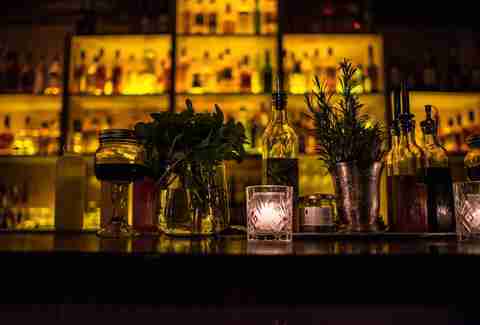 The speakeasy feel comes as no surprise, as it’s from the same people behind ECC. It's dimly lit, has dark colors and lots of velvet, and the menu has only eight cocktails -- but they're all perfectly formed, and include the delicious Salers Smash mixing absinthe, Champagne, mint & lime. 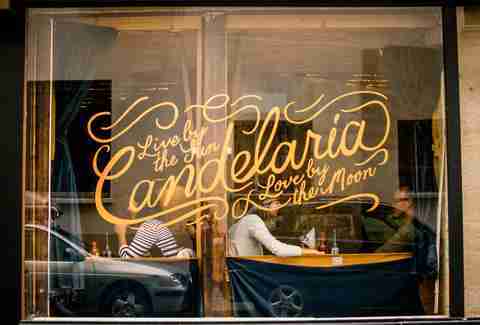 Granted, the windows of Candelaria look out onto the street, which means it's not the easiest of speakies. That being said, it's not all that easy to see how to get in. Here's how: walk through the cramped taqueria (cramped for a reason: tacos are hard to come by in Paris) and push the unmarked door at the back to get into full-on craft cocktail world, and snag yourself a tequila/hibiscus Santa Margarita. This super-discreet address (you must, of course, find the door with no sign) in Paris has something going for it the others don’t: you can play mixologist and choose your own combination of alcohols and syrups to make a personal cocktail. 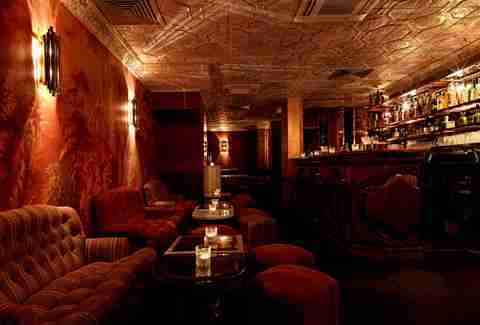 You can also head downstairs to the underground section which is outfitted in vintage furniture and a dark ambience that’s perfect for a dance club, thanks to the DJ spinning in the corner.